Save Additional $80.70 When Paying With Bank Wire. You pay $2,609.30. 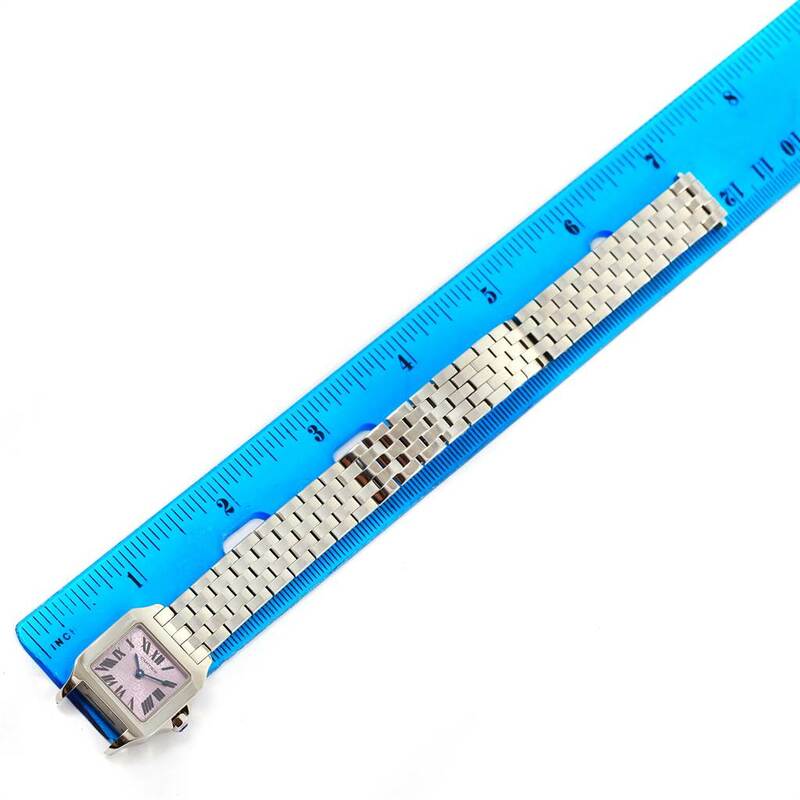 Stainless steel case 20.0 x 20.0 mm. Octagonal crown set with the blue faceted spinel. Laquered purple dial. Painted black roman numerals. Sword shaped blued steel hands. Secret Cartier signature at X. Stainless steel bracelet with hidden deployent clasp. Fits 7" wrist. Cartier Santos Demoiselle Purple Dial Steel Ladies Watch W2510002. Quartz movement. Stainless steel case 20.0 x 20.0 mm. Octagonal crown set with the blue faceted spinel. Scratch resistant sapphire crystal. Laquered purple dial. Painted black roman numerals. Sword shaped blued steel hands. 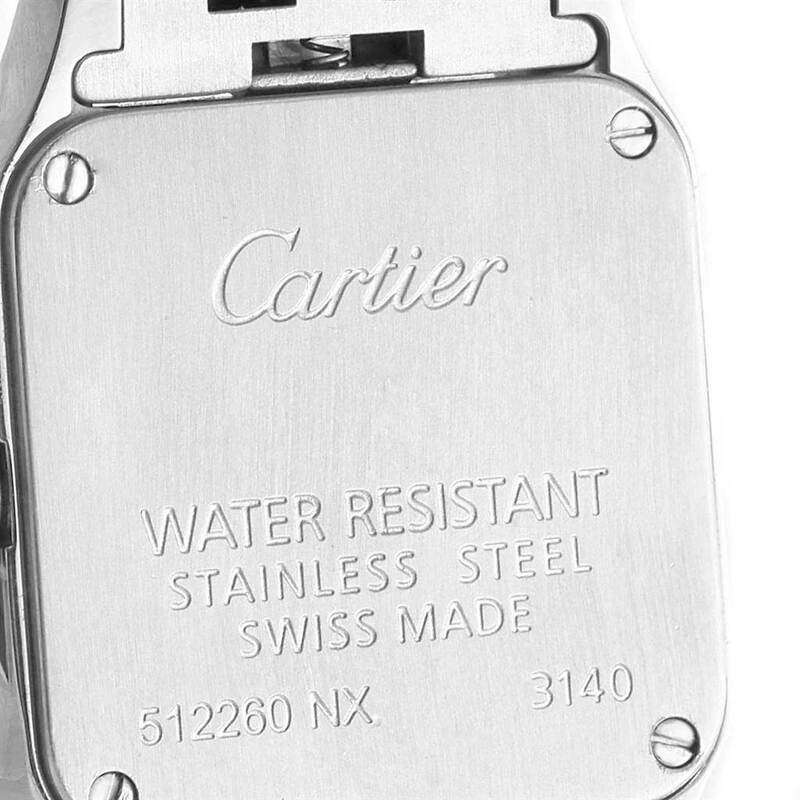 Secret Cartier signature at X. 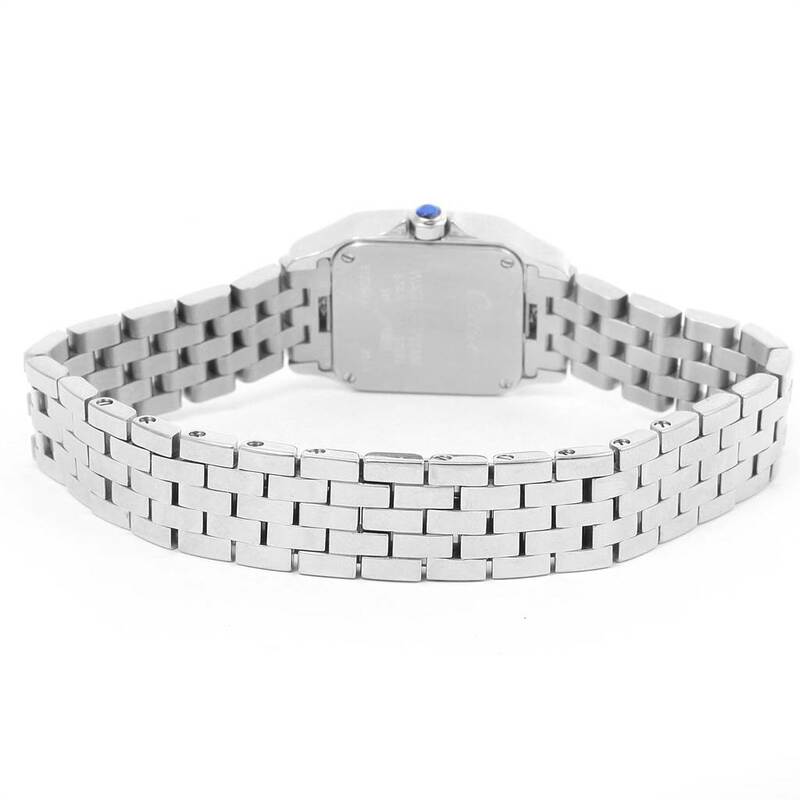 Stainless steel bracelet with hidden deployent clasp. Fits 7" wrist.